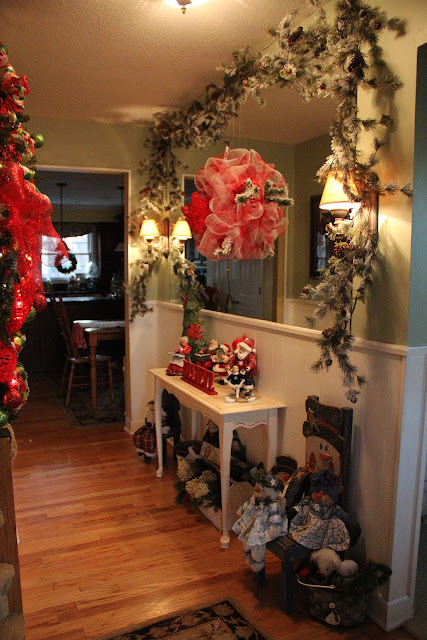 Thanks for stopping by, Here is the Foyer decorated for Christmas. Theres a flocked garland over the mirror, a decomesh wreath hanging on the mirror. 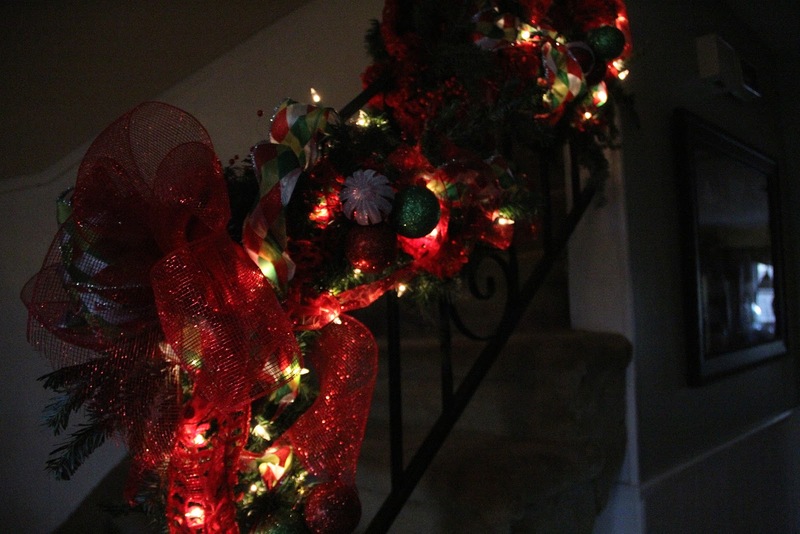 The stairs have a garland of evergreens ( real and fake) ribbons, some dollar tree ornaments and white lights. 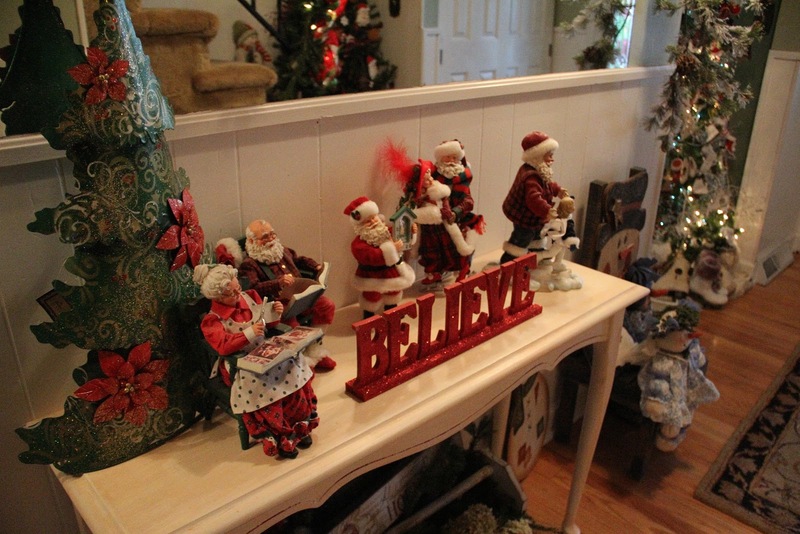 There are Santas and snowmen , the vintage tool box under the table is filled with greens , hydrangias, a sign and a snowgirl. 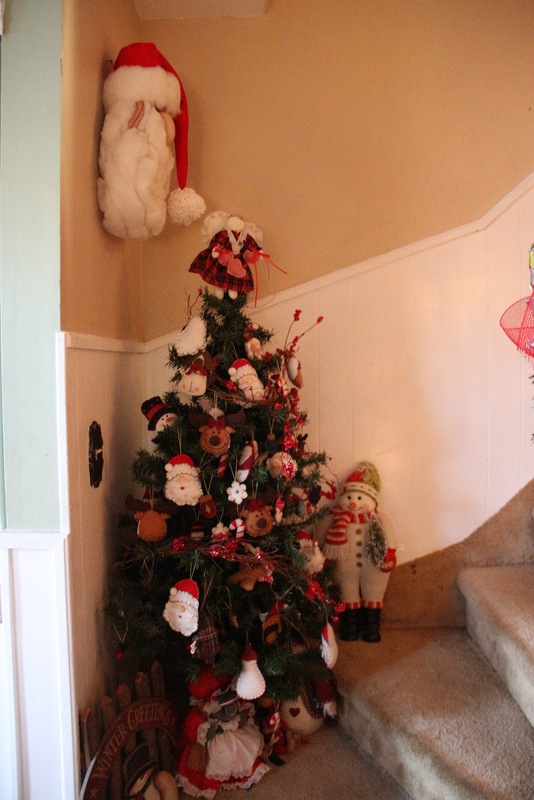 this tree on the stairs is decorated with all felt ornaments, a twig and berry garland. No lights ( theres no outlet )! 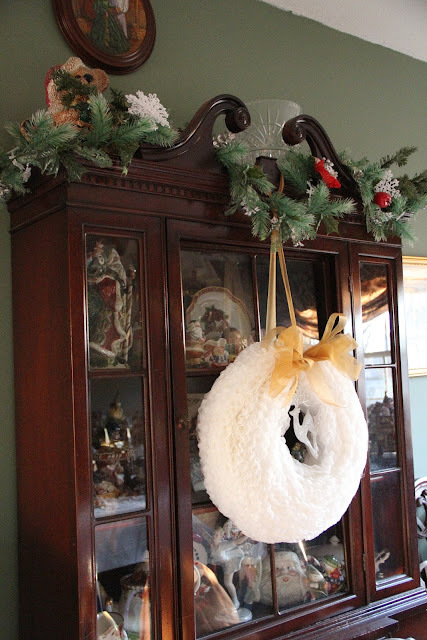 I Made this coffee filter wreath 2 nights ago, Love how it looks hanging on the china cabinet. 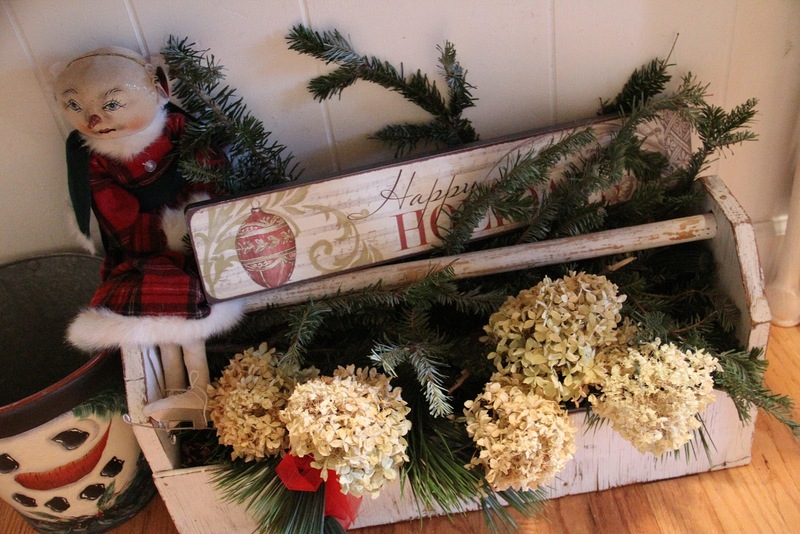 I added a sparkly silver reindeer and a gold organza ribbon. The cabinet holds more fitz and floyd and theres a garland across the top. My husbands village.. 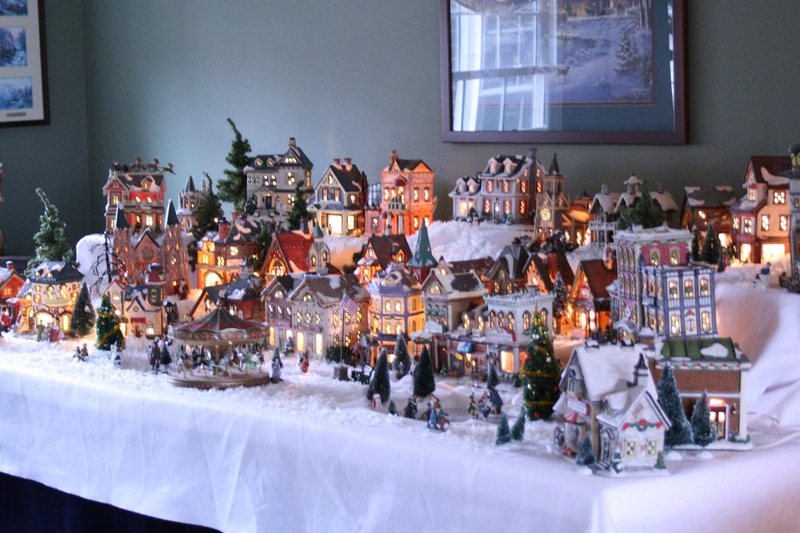 He sets this up every year , He does such a good job.. 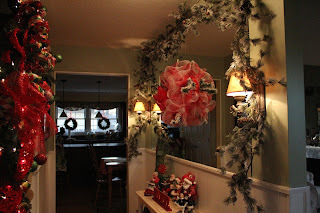 The houses are a mix from Joann fabrics, Kohls and a couple dept. 56 pieces. Fitz and floyd on the dining room buffet.. Thanks as always for your visits and comments ! 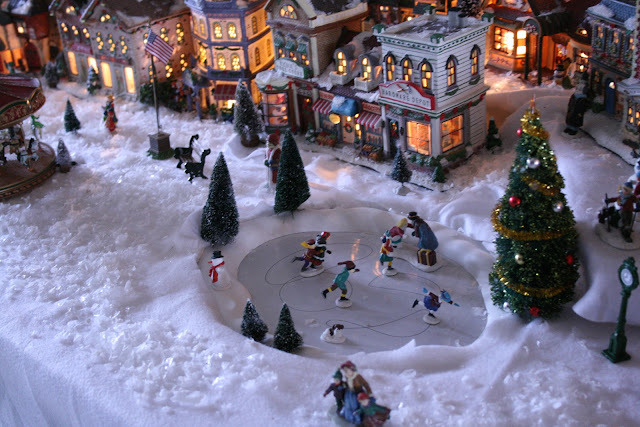 Hope you are all having a wonderful holiday season ! Gorgeous! Your home looks so festive and the Christmas village is simple fabulous! I love all your pretty pieces and beautiful things to create a winter wonderland and the season to be jolly. The buffet is so pretty and I'm crazy about the F&F car, santa and each lovely item. Happy holidays. I have loved seeing your Holiday home pictures. Your home is truly amazing! 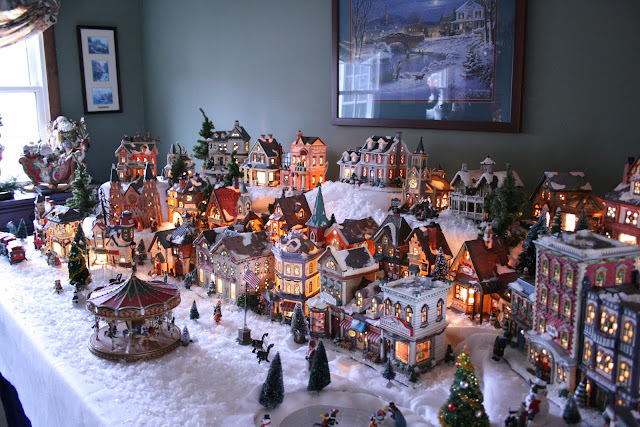 Oh, I love that holiday village! How fun! Your whole family must enjoy seeing that set up each year. 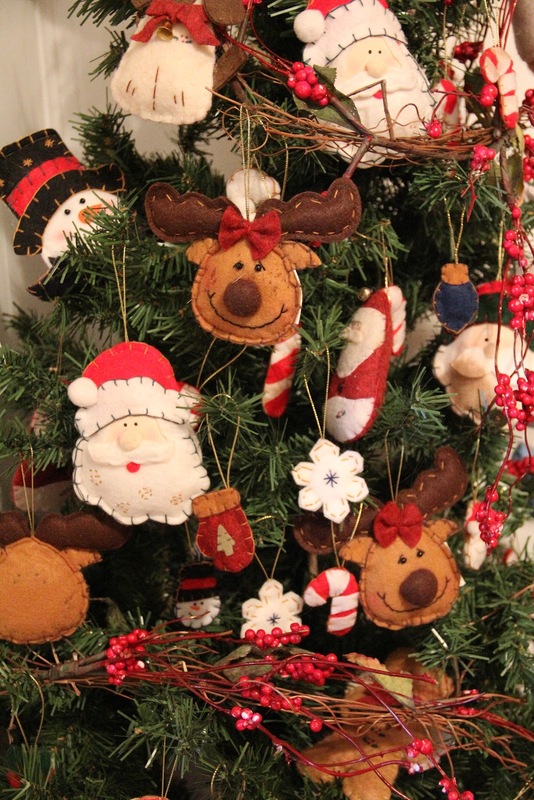 Thanks for sharing your home and Merry Christmas! 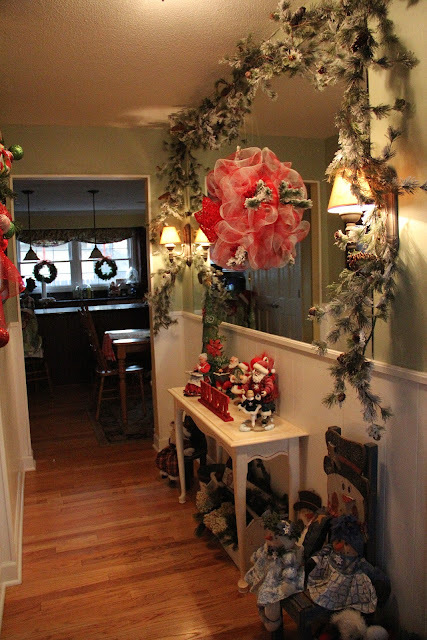 Wow you have gone all out! 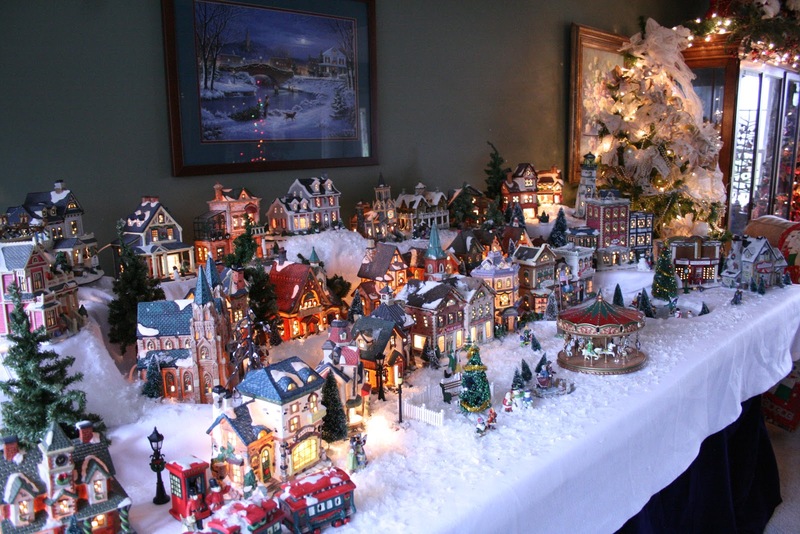 You have a fabulous collection of village pieces. I have them too but haven't been putting them out for a while. I feel bad about that! You did a great job of setting it up. 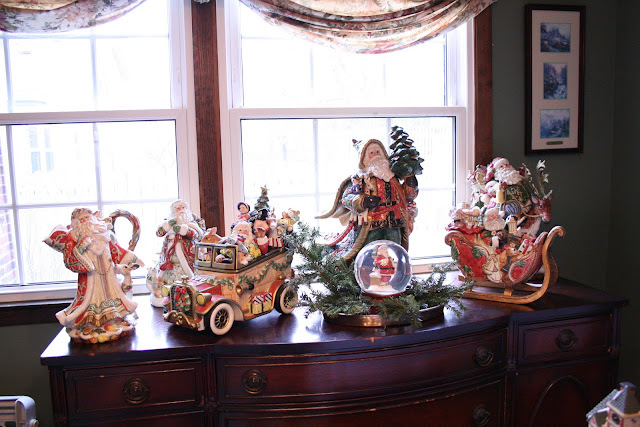 I have all Dickens pieces. Your Fitz and Floyd pieces on the buffet are lovely!